What a day! The weather was awesome and the race went off without a hitch. Thank you to everyone who came to ride and congratulations to the winners! This event also wouldn’t have happened without the help of our awesome sponsors and volunteers. You guys rocked it! See the full list of 2017 race results here. Flip through the slideshow to see more photos from the day. Photos taken by Samuel McMain and Molly Bowman. With only two days to go, we’re busy getting everything in order for Saturday! Online registration closes after today, but you can still register in-person at Owenhouse Cycling during Packet Pickup on Friday from 3pm to 7pm. Day-of registration is available at the race, before 6:30 a.m.
All riders get a sweet performance tee! While the site hasn’t been getting the attention it deserves (sorry, little buddy), you can follow us on Facebook for more frequent updates. Yep, it’s true. 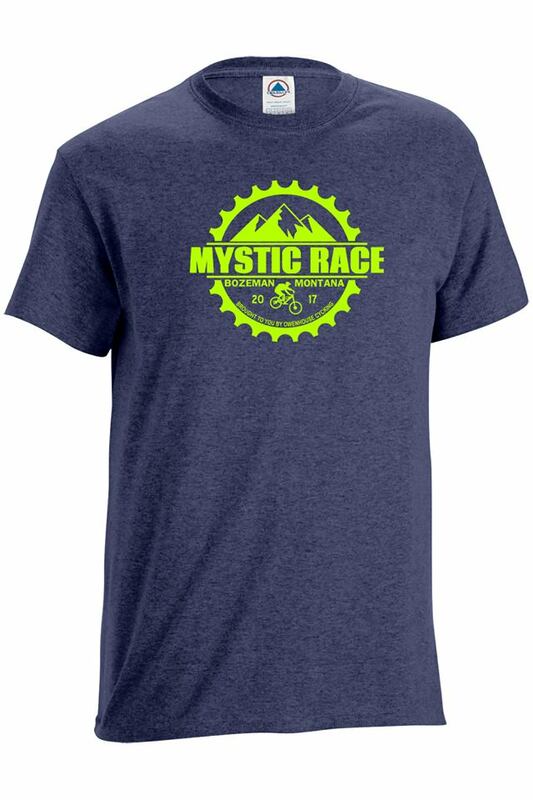 Sorry to keep you on the edge of your (bicycle) seats but we finally have all of our ducks in a row and the Mystic MTB Race 2017 edition is a go. Same course. Same chill vibe. 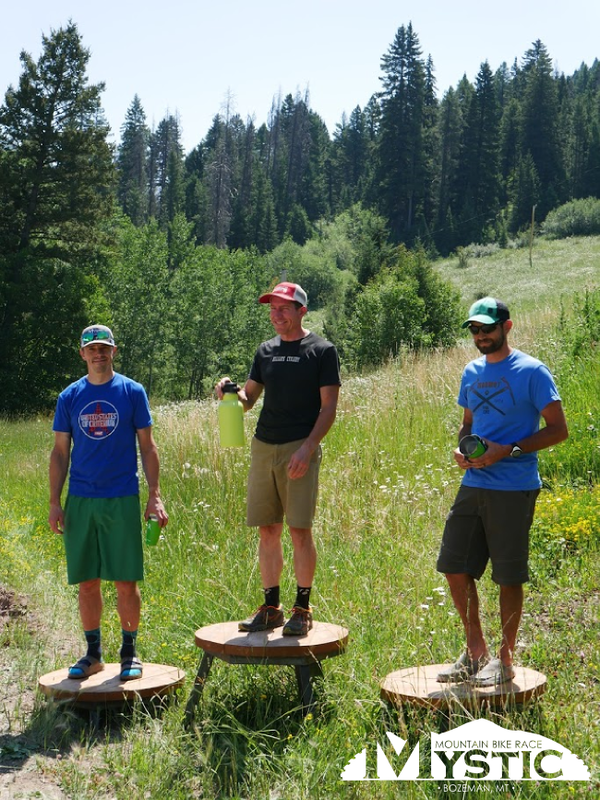 Saturday, July 22nd – get it on your race calendar! Follow this link for the 2016 Mystic MTB Race results! Thanks again to everyone who participated and volunteered! It was a great time. Let’s do it again next year! A huge thank you to everyone who came out to support the race, whether by riding or acting as support staff. With over 80 participants this year we had great turn out and a great time! We’ll be posting more pictures soon. Beautiful morning for a bike race! Racers lined-up and ready to start the race this morning. Check back later for more updates and results. Good luck racers! 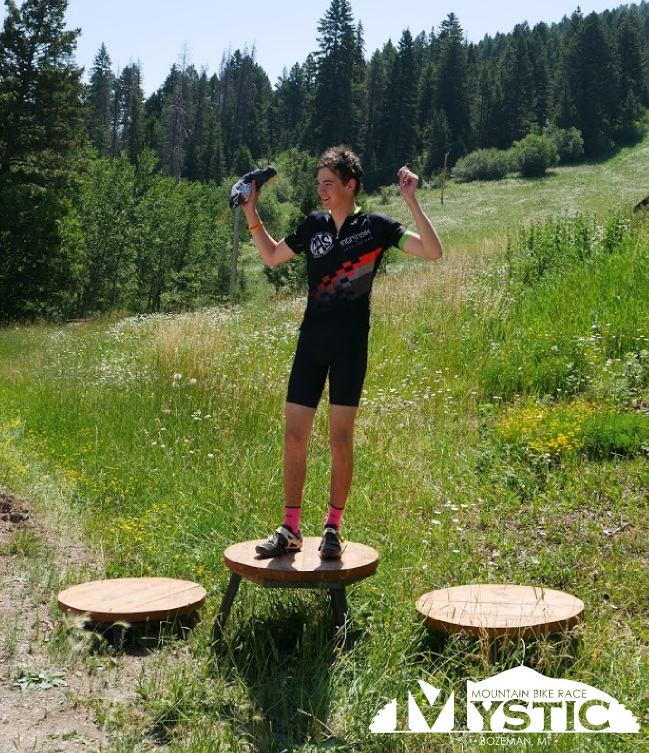 The 3rd annual Mystic MTB Race will be upon us in about a week and we are once again very excited to showcase some of the best trails the Bozeman area has to offer. We also wanted to remind riders of the details for the event. Mandatory packet pickup / last minute signup at Owenhouse Cycling on Friday July 15 from 3-7pm. Race starts promptly at 7am on Saturday July 16. 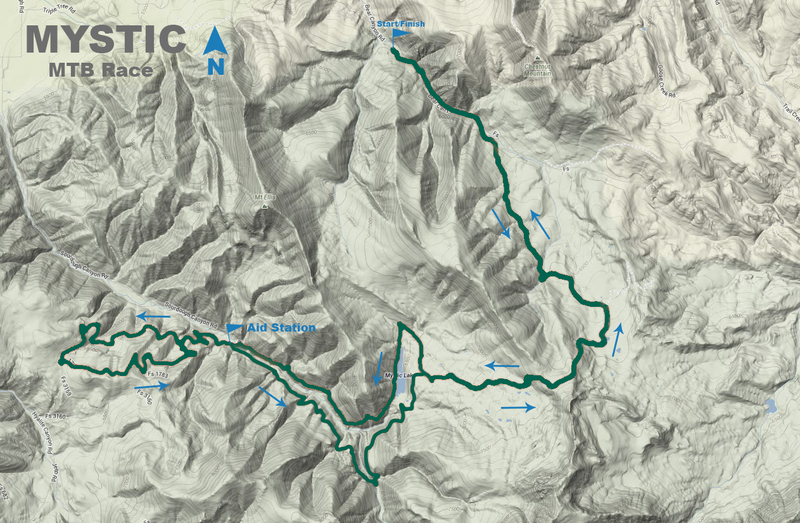 Please be at the Bear Canyon trailhead and ready to go for a quick racer meeting at 6:45am.